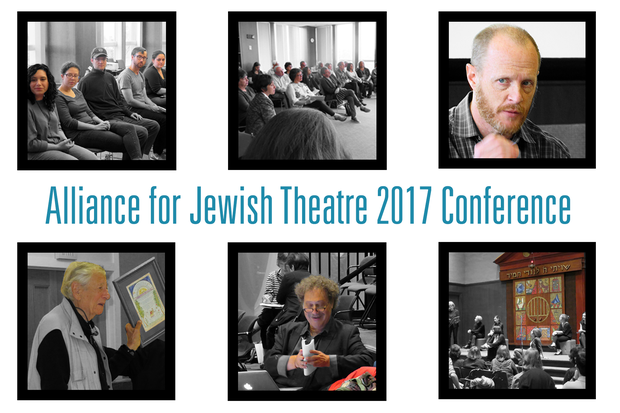 "What is Jewish Theatre?” leads us to confront "Why Jewish Theatre?" and “How?" We should THINK BIG, going beyond our past successes – as Interplay Theatre (Cleveland), CenterStage Theatre (Rochester), Jewish Women's Theatre (Los Angeles), and others in our Alliance exemplify. 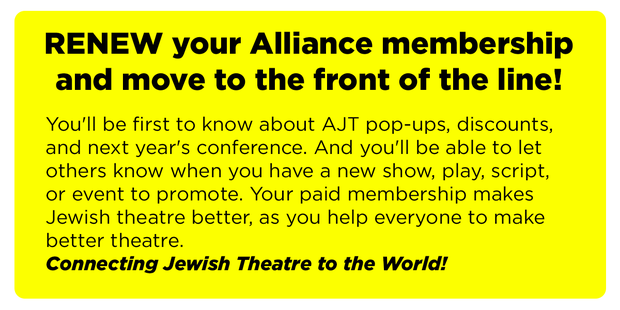 Feel free to contact me or David Chack at any time – on any aspect about AJT. You are the ones who will make us strong. And let us go from "strength to strength" as we move forward in our unique, creative, and important community. Click to renew your Alliance membership! You came, you spoke, you listened, you learned! And now you’re back to your busy lives, creating, developing, working, networking, starting, finishing, re-working, and so much more. Hopefully, you took something back home with you from our AJT conference that is making all of what you do more inspiring. Here’s what some of you have shared with us. If you haven’t shared, there’s still time. 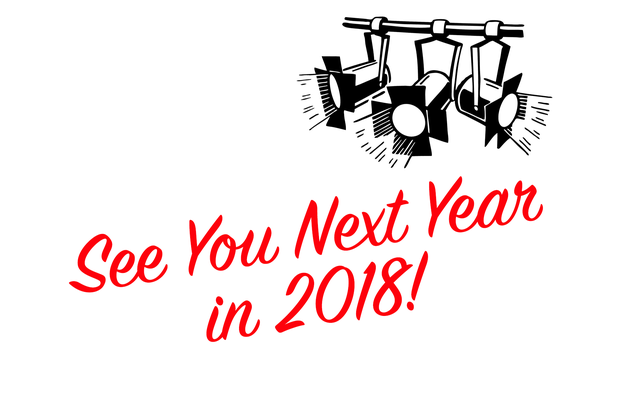 Please send your Boston AJT conference takeaways, highlights or memorable moments to me so that they can be shared with theatre makers everywhere. "I came away from the conference with a greater understanding of and appreciation for the beauty, complexity and wisdom embedded within the Jewish religion and culture. The panels were incredibly educational and informative, while the performances encompassed a fascinatingly diverse set of Jewish perspectives."